I began several posts but never got to the point of posting them on my blog. Didn’t think they were worthy. Not that I didn’t have my occasional moments of “ah-has” and reflections… I did. The festivals that came by sans fun on the downside, and the newly discovered passion for authentic Maharashtrian cooking, on the upside. Lets talk about the downside first. As for the festivals, you didn’t have to do much in India. Just go with the flow and fun was guaranteed. In a foreign country, if you do not have an enthusiastic community that you are involved with or if you do not have kids (who you’d want to expose to Indian culture irrespective of how religious you were in the past! ), you have nearly no motivation to celebrate! That was the bitter truth I was struck with. Hope the next time I have at least one of the two factors to motivate me! On the upside, it was a whole new world of cooking. I never grew up thinking I would or could “cook”. I’d conveniently think I am not the girly-girl type and got away with it in my mind. Then, just a few days back during one of my cleaning sprees, I found the tiny “Annapoorna” brass idol my mother gave me during my wedding. My allowance from hubby to keep God idols is limited to a few. The rest are put away only to come out on Diwali or some occasion that calls for it. I struggled for few moments to decide if it should go back in the ‘God box’ or be out. Made a decision and put Her on my gas stove top. This was the same time period when I saw myself ponder a lot on my childhood and how I grew up, the cooking and the customs followed, the festivals and the traditions observed…everything. The more I thought, the more I felt distanced from it, and that was painful. Unfortunately, those days are limited to the memories safe in my heart and to the old pictures; my parents are back home in India and my dear grandma passed on a few years back. Besides, the city where I grew up, the people, and the new phase the India in general is in makes everything so different. Nothing is the same but for the postal address… Or it could be that I was stuck and everything around has moved on. Whatever it was, the best way for me to relive it all was -yes you are right on- “cooking”! Pretty counter intuitive, I know. 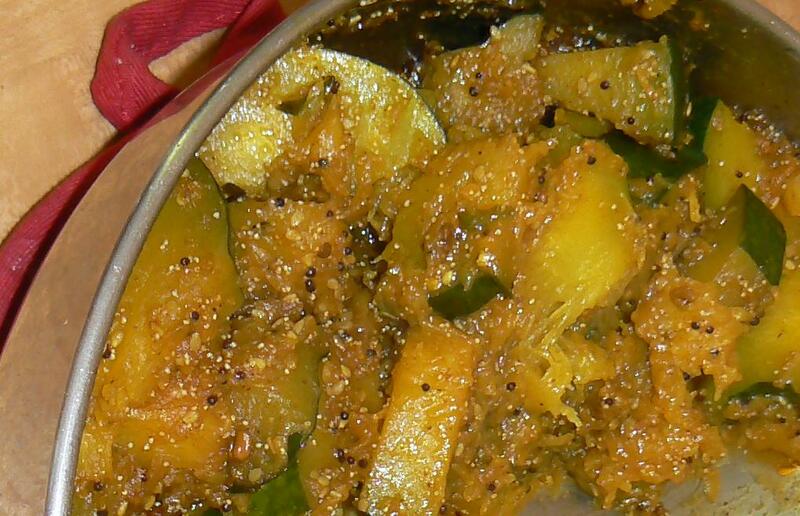 I started with one authentic Marathi ‘eggplant potato dish‘ that I found online on a cooking blog. In Marathi weddings, this type of curry would be a commonplace as I saw growing up. This blog was awesome I thought, as this blogger had all these amazing regional recipes from Maharashtra. I felt at home and delighted. And with this blog I discovered several related blogs which was a treasure to me, to say the least! “Grandma was not around, but her kinda recipes came to me from the universe” kinda feeling (I left the theater, but “drama” hasn’t left me; please don’t hate me for the over-dramatization!). On a serious note, I felt closer to who I was. I felt grounded (used as an adjective here). 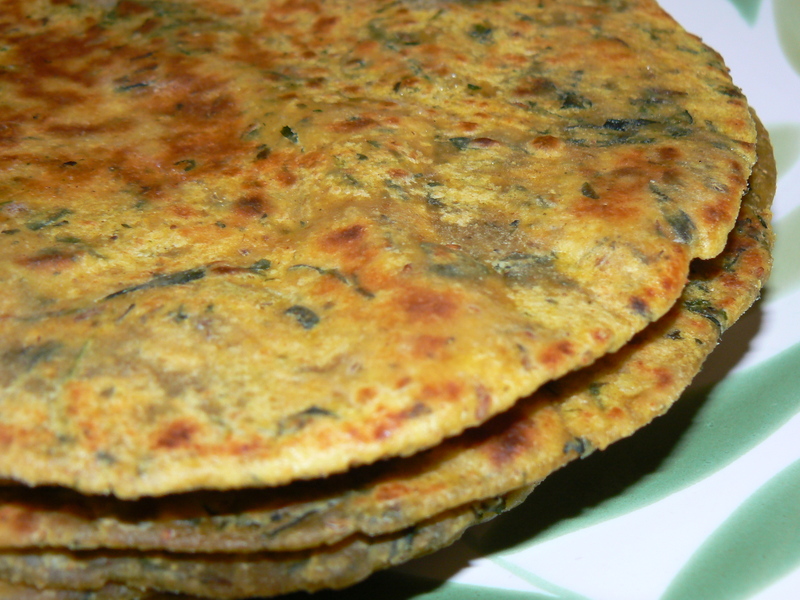 Then came the Methi Parathas, the pumpkin parathas, the pumpkin sabji (typically made for puja’s), the sabudana khichadi, and so on. I made my own variations to the recipes from inputs from my mother. These blogs opened up several new avenues with one click just like Minesweeper (oh-I would love to play that game). If you liked it too, you’d know exactly what I am talking about! Strangely, I never came across these blogs before in my Google searches. To me all this was something like suddenly discovering you were a great painter when you knew you couldn’t paint for nuts! Friends and relatives liked my “work” and hubby has still to reach the point of “cant take it anymore”. Now, when I am around in the kitchen, as I secretly catch a glimpse of the little Annapoorna idol with her ladle, She seems to transform but for a moment into the apron-clad fairy godmother, swings her ladle and winks at me with a mischievous smile before she transforms back into the tiny idol amidst shimmery gold dust! < Previous Death of a hero! U hve posted a very nice article on Indian festivals & delicious mouth watering cooking items. I would love to know how the pumpkin sabji and pumpkin parathas are made. I shall surely try them. Secondly, yr little one is very cute and growing fast. take care and happy nav-ratri to all of u.